This old Delhi city tour is an interesting package tour of Delhi’s culture, traditions, heritage and a variety of relish food. This half day old delhi tour experience you the imperial life of the Mughal era, packed street bazaars of old delhi, a long list of palatable food of delhi, it’s gusto, its overwhelming charm and bewitch sights. 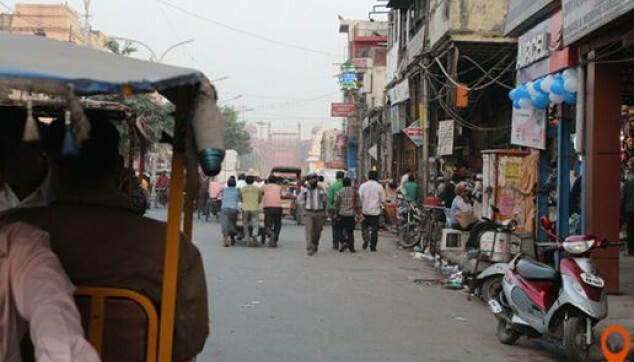 Have a pleasurable Old Delhi Bazaar Walk. Enjoy shopping at old Delhi’s famous markets. 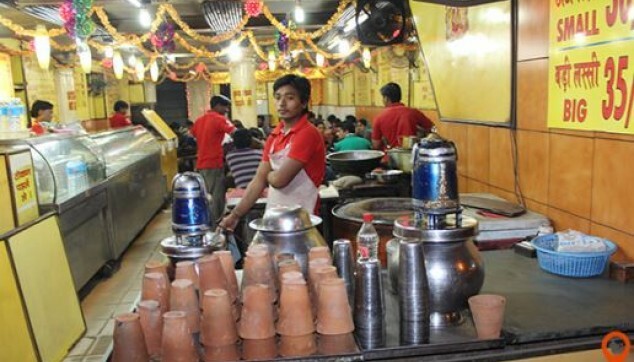 Have an appetizing food at remarkable Paranthe wali Gali. Revel in the rickshaw ride. In the morning after breakfast at around 9:00 am, our driver will pick you up from the hotel for your private old Delhi tour. En-route, our local guide will join you to familiar you about the place. Our driver will drop you at the Red Fort from here your private walking tour old Delhi including ancient Havelis will start. 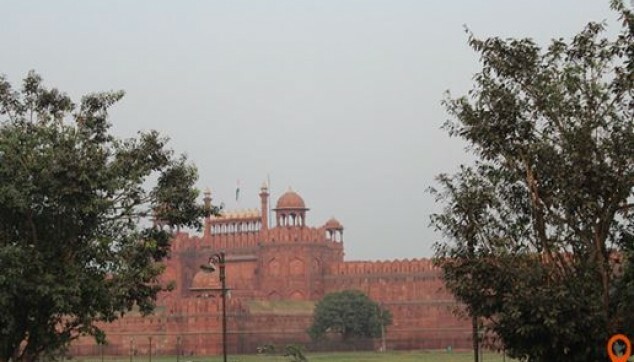 At Red fort, you can glimpse outside view of the fort and take photographs from outside. Afterward, walk through to Chandni Chowk with outside glance of Chippiwada Temple and Sheesh Ganj Gurudwara. From here you can enjoy Rikshaw ride to Fatehpuri market, a wholesale market of pulses, spices and dry fruits. Later, walk through the narrow street markets of Chandni Chowk like Kinari Bazaar, famous for traditional Indian wedding commodities, Dariba Kalan market remarkable for Jewellery, Ballimaran for leather products and Bangle market for colourful and stylish bangles. After shopping the best things from these markets, we will take you for the Walking Tour of Old Delhi for food to the preeminent Paranthe Wali Gali famous for various types of finger licking Paranthas. After having a delicious Parantha now walk to Jama masjid, one of the old and famous mosque of the city, here your walking tour ends and our driver will be taken you towards the Connaught Place, New Delhi, en-route with outside visit of Raj Ghat. Connaught place has so many famous handicraft shops, branded showrooms, top class hotels and many other attractions. Your walking tour of Old Delhi for Heritage & Culture experience package our end here and our driver dropped you back your Hotel. Sightseeing with a guide who is able to communicate in English. Indian parathas from Paratha shop. Complementary offer of one lunch at the Indian Restaurant. Private air-conditioned car for moving between Hotel and Old Delhi. Botted water during the tour. Service charges and taxes applicable. Friendly, informative, helpful . Bantu showed us Old Delhi whilst also accomodating what we wanted to see. Bantu was charming and respectful to us and all those around us. Wir haben diese ca. 2stündige Tour durch Old Delhi zusammen mit Sikender gemacht. Es war Tag 1 unserer 3wöchigen Indienreise und der perfekte Einstieg. Die anfänglichen Berührungsängste mit der Stadt sind schnell verflogen. Sikender ist ein recht smarter junger Typ. Sehr aufmerksam und checkt recht schnell wie die Leute drauf sind - was sie mögen und was nicht. Ganz toller Spaziergang, ganz leckere Sachen gabs. Jederzeit wieder. Great way to see the real Old Delhi! I had a really insightful and fascinating tour of Old Delhi. My guide was so informative and flexible to adapt the tour to my interests. Eating at the Gurdwara Sis Ganj Sahib was a highlight. As a single woman travelling alone, I had initially been a bit apprehensive, but quickly realised my concerns were unwarranted! A thoroughly enjoyable afternoon tour that was the highlight of my time in Delhi! The Old Delhi is a great place to see the true India. I went on this walking tour and had fun. Ate at paranthewali gali and it was tasty. Thanks Indiator.